Healthy and Slim Daily Greens in powder and tablets contain the highest concentration of certified organic greens and vegetables per tablespoon( 2 servings) than other product blends while avoiding potential irritants, fillers, and allergens. 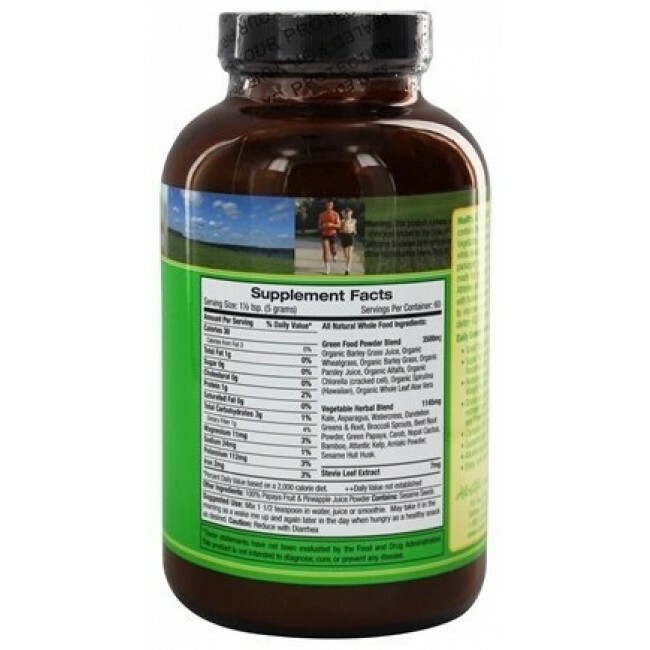 Since 2001 - packaged in glass for freshness Daily Greens Formula has been made for all people including adults, children, teenagers, seniors, Athletes and even safe for pets*! Pregnant, lactating women, along with bowel sensitive individuals enjoy H&S Daily Greens who want to improve nutrition encourage healthy regularity while reducing daily gluten (gluten free). 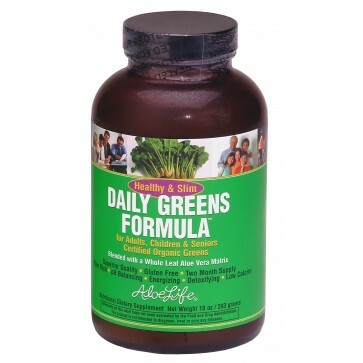 I have been using these greens for about 3 years, I had tried other greens before but they all tasted like lawn clippings, I was at my Mom's house one day and saw these greens in her cupboard and asked about them, she said that she just mixed them with water in her shaker cup, so I tried it and it tasted great!